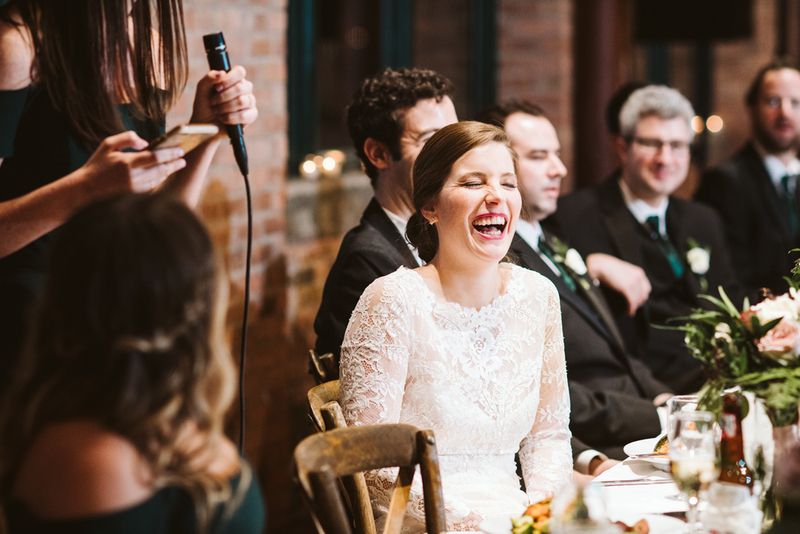 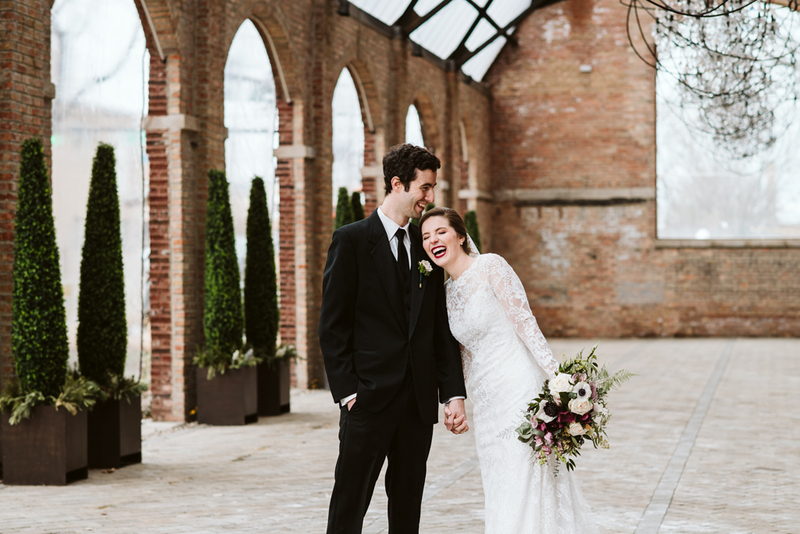 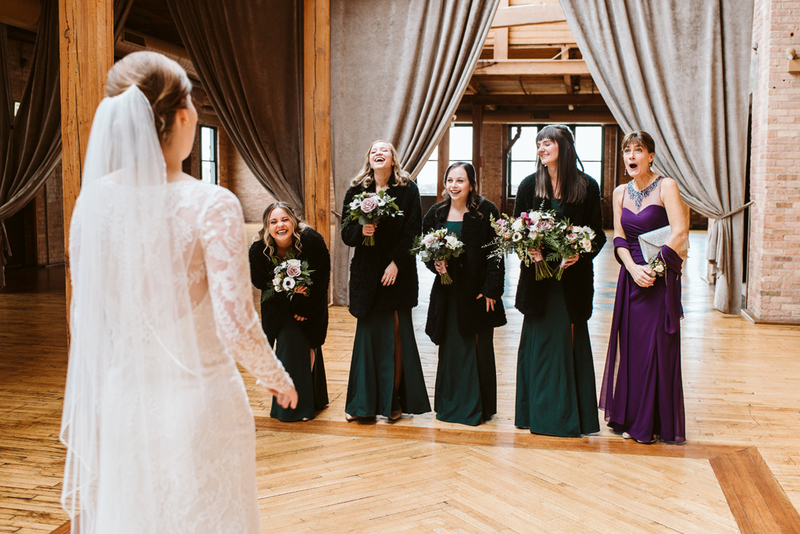 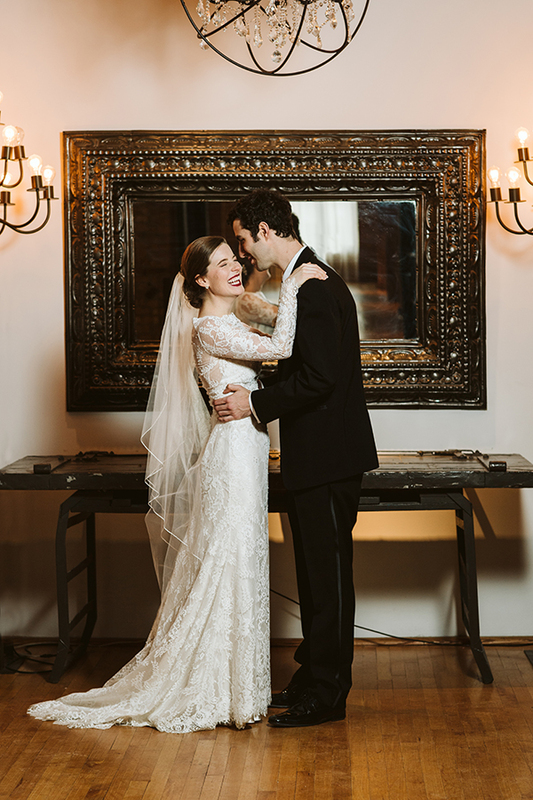 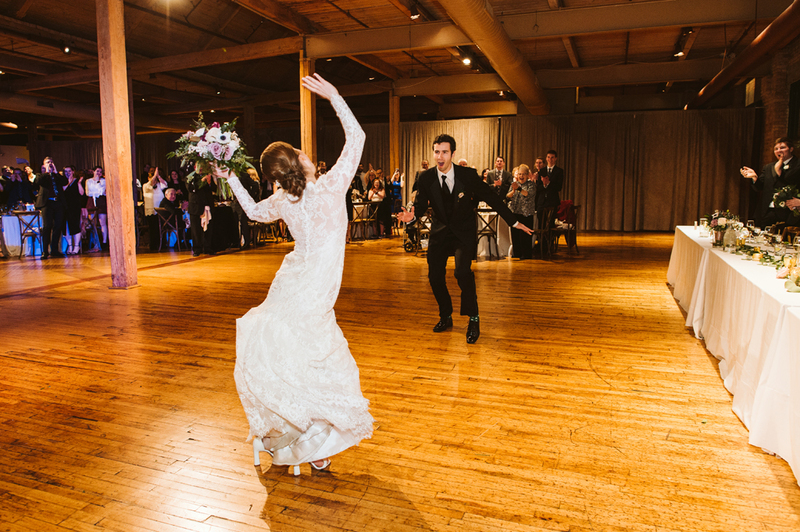 Erin + Elliot’s winter Bridgeport Art Center wedding was filled with nothing but laughter, love and Irish dancing! 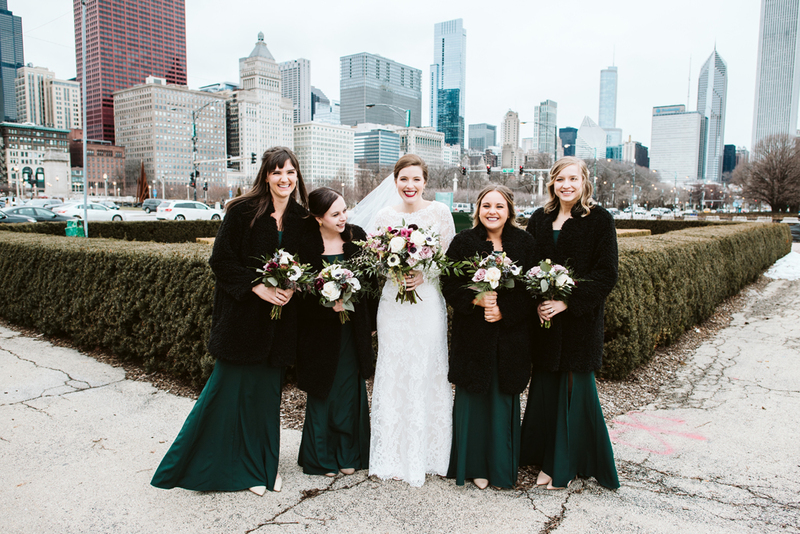 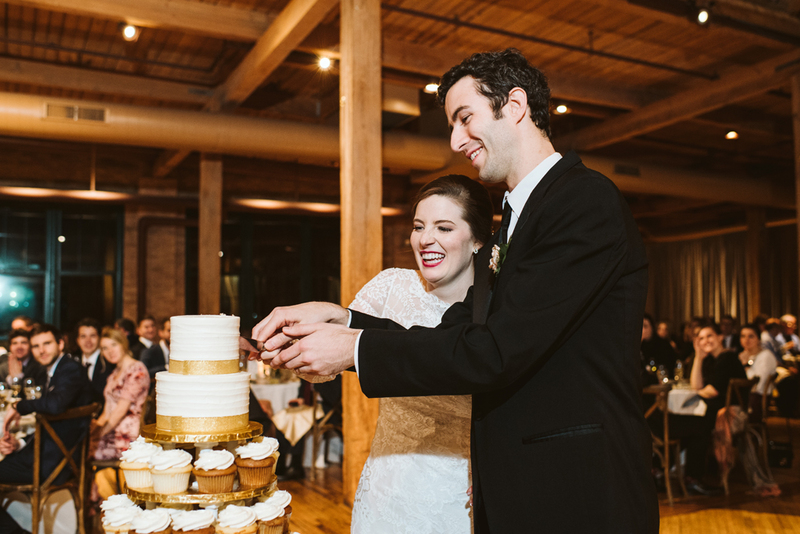 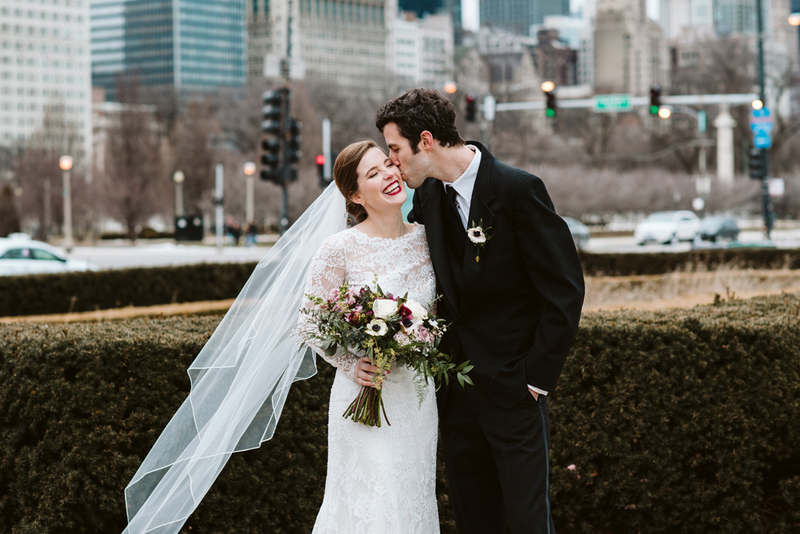 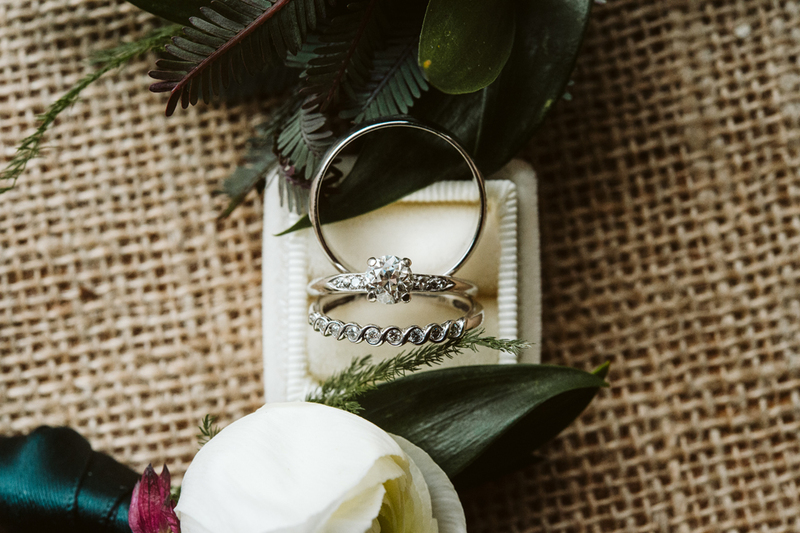 When Erin + Elliot met at the University of Illinois, their connection was instant. 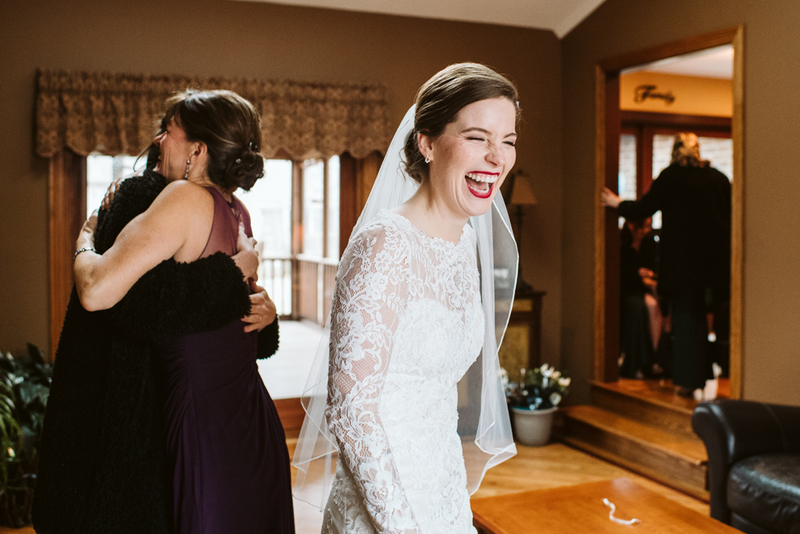 Seeing the two of them celebrate their wedding day, it’s obvious they have such a chemistry together. 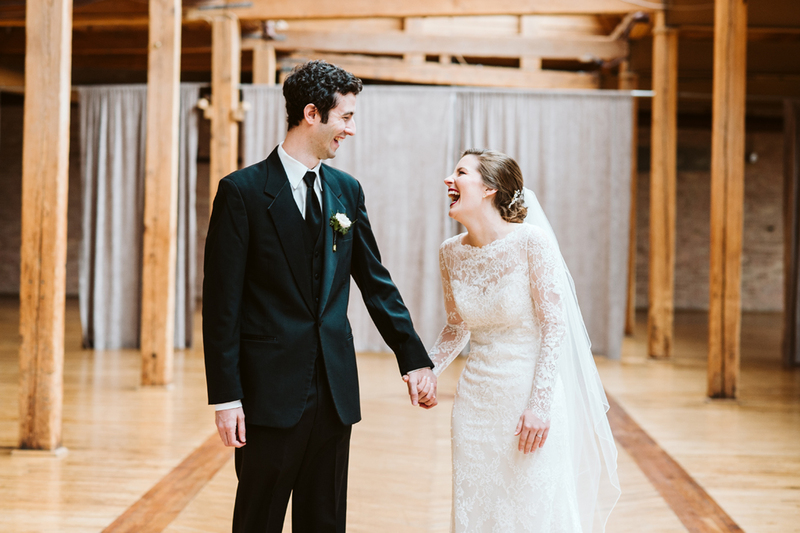 They laughed together throughout the whole day and truly enjoyed every moment of their day. 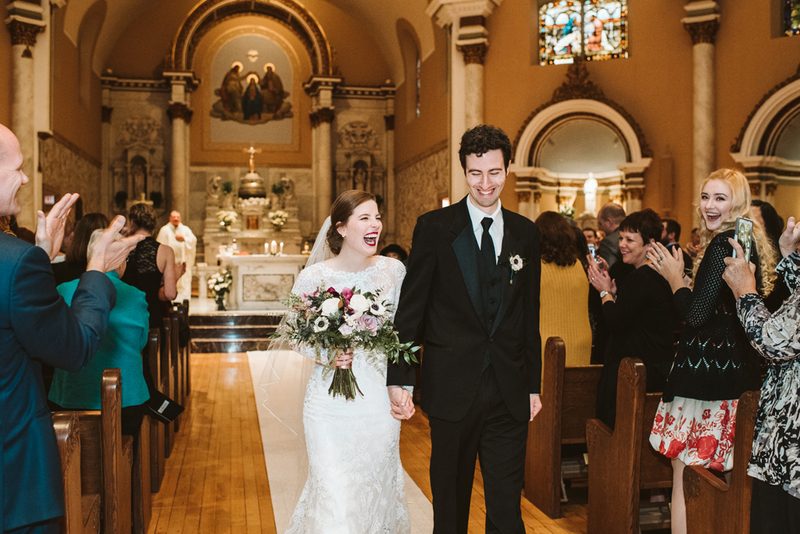 The priest who performed the ceremony had known Erin and her family for 30 years. 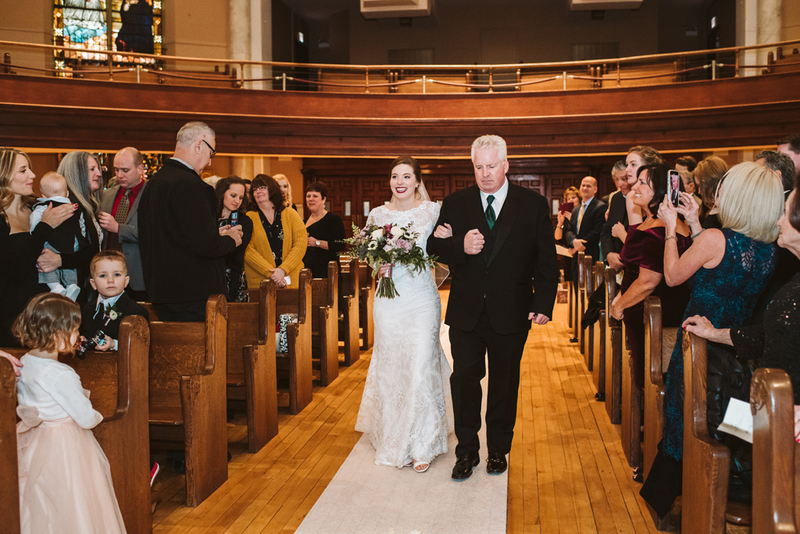 He had married her parents, grandparents and baptized their kids. 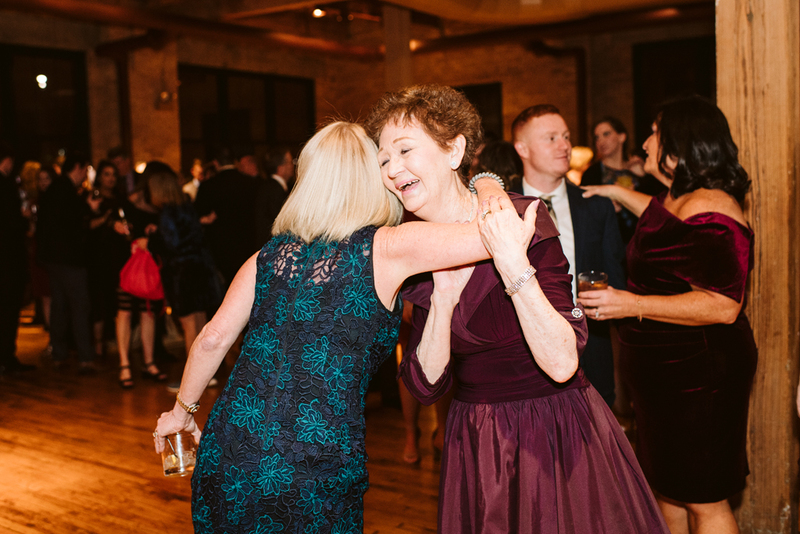 There was such a sentimental energy during the service that made it so special. 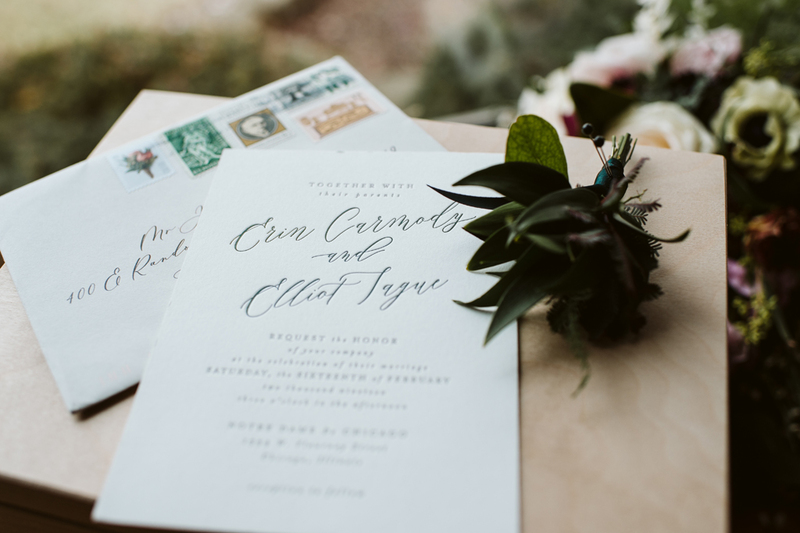 Beautiful letters that the couple had written to each other, he read during the ceremony. 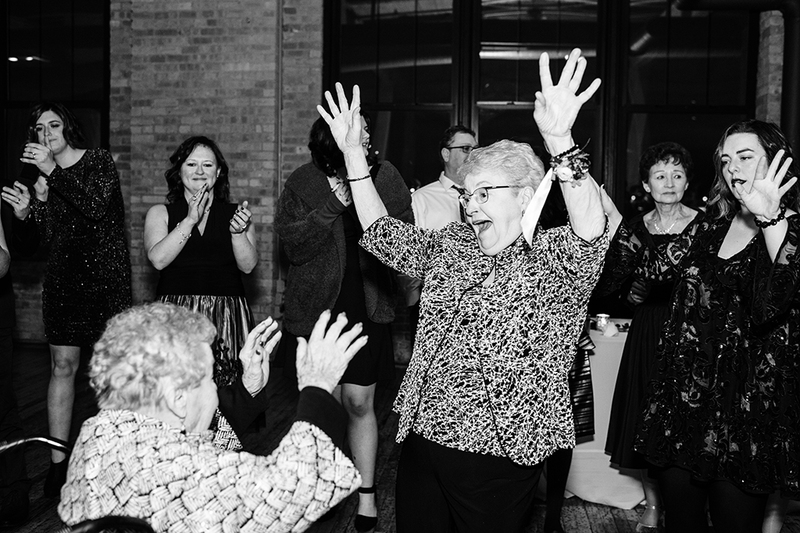 Their Bridgeport Art Center wedding ended with crazy dancing, including Erin’s two grandmothers getting down!